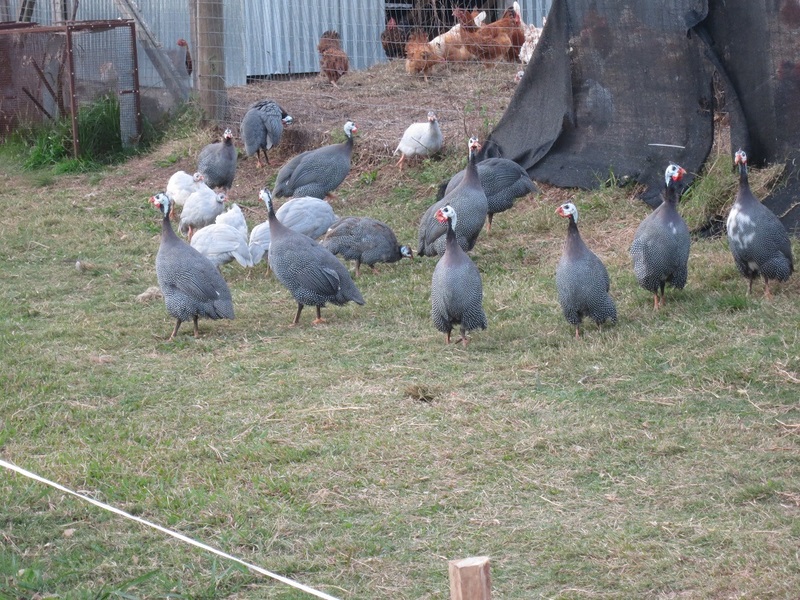 Our flock of guineas have grown from 15 or so to nearly 30. We have two age groups – they are about four months apart. Our older group are the traditional color, our newer group are lavender. Both groups are very talkative and I have a hard time competing with them. The two groups do not tend to flock together, but will hang out with each other. They have an internal GPS for where home is, and home is the chicken yard for all of them. We want them to eat the bugs that may find their way into the garden. They are just old enough to fly out but not all have figured out how to get back in. Guineas are not the same as chickens. At all. They are noisy, flighty, stubborn, scared, and can always find their way home. (In theory the chickens should know where home is. We have yet to truly have that theory prove out.) They are also notoriously bad mothers. As we’d like to eventually (i.e. 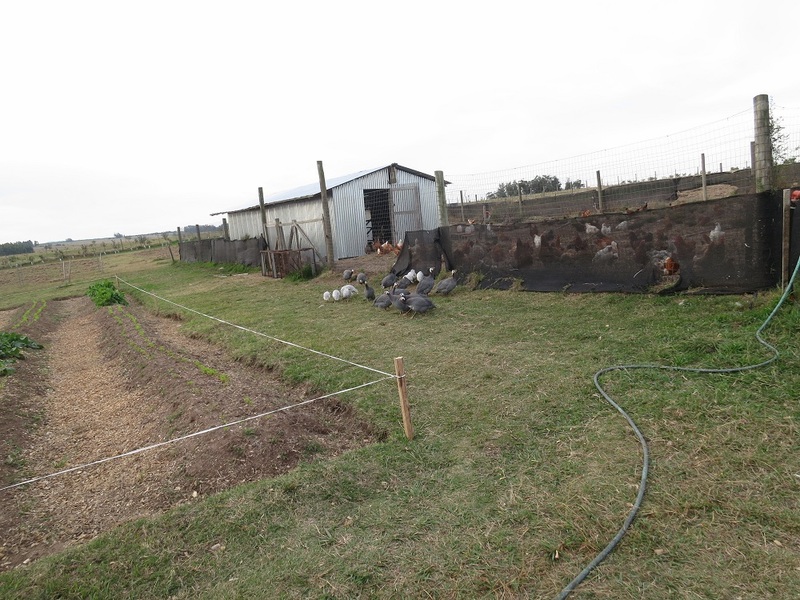 this coming summer season) have flocks of guineas in the olives to help manages the ants, catipillers, etc., we have to have a brood flock. Megan refuses to spend her days hunting for guinea nests in the olives. 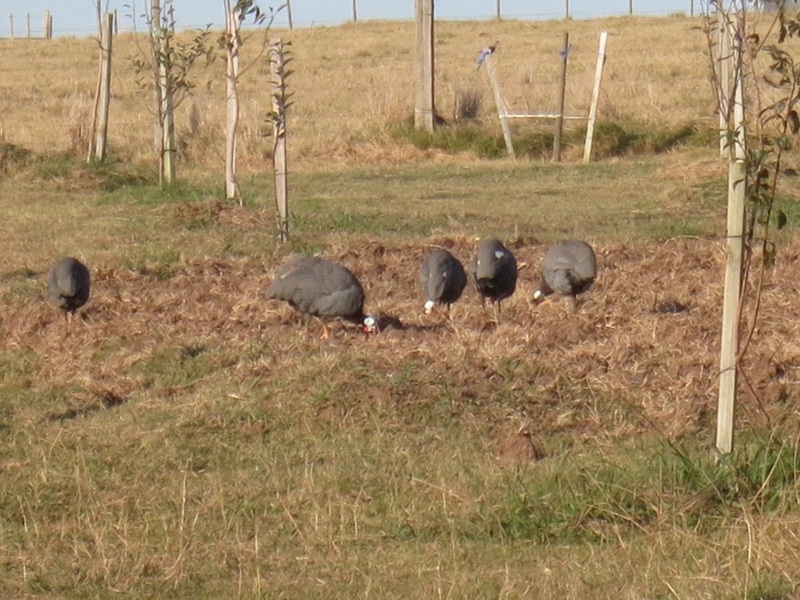 So we have a flock in the front garden to produce eggs for the incubators. If the whole plan works, next year we hope to get a flock “homed” to the olives.